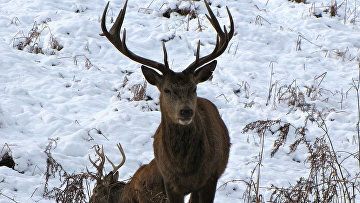 Criminal case launched over shooting of deer in Yakutia | Russian Legal Information Agency (RAPSI). MOSCOW, April 8 (RAPSI) – Russian police have launched a criminal case after 30 deer were shot in Bulunsky region of The Sakha (Yakutia) Republic, RIA Novosti reported on Friday. According to local Prosecutor’s Office, 30 deer belonging to “Bulunsky” municipal enterprise were shot on April 6 by unknown assailants. Animals were shot from rifles. 19 deer were killed and 11 were wounded after attack. Criminal case was launched on April 8 under article “deliberate destruction of property, involving the infliction of significant damage”. Deer in question were specifically trained for sled transportation. Preliminary estimation of damage reached 1.5 million rubles ($22,300). 13:50 08/04/2016 Russian police have launched a criminal case after 30 deer were shot in Bulunsky region of The Sakha (Yakutia) Republic.